Your wedding guests can take a handful of confetti! 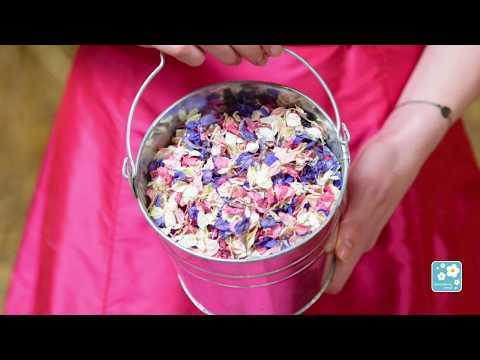 This charming Cream Confetti Pail comes with 2 litres of your choice of confetti (enough for around 20- 24 handfuls). Cream metal bucket measures approx 14cm height (26cm inc handle) 16cm x 16cm in width.